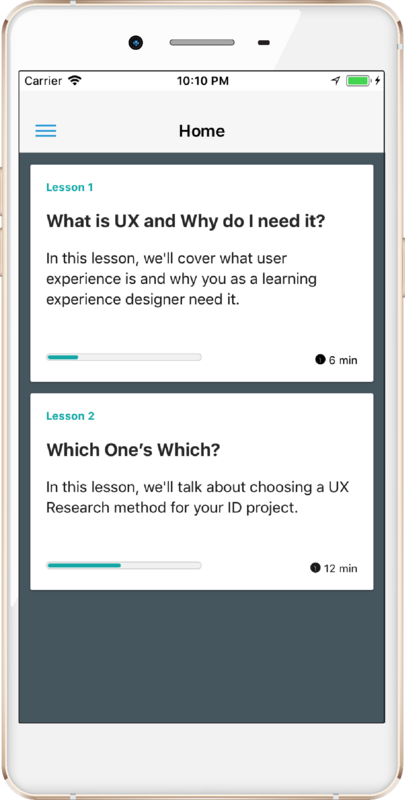 UX + LX is the easy way to learn about the skills you need to integrate user experience research and up your game as a learning experience designer. You fit lessons in on your schedule. 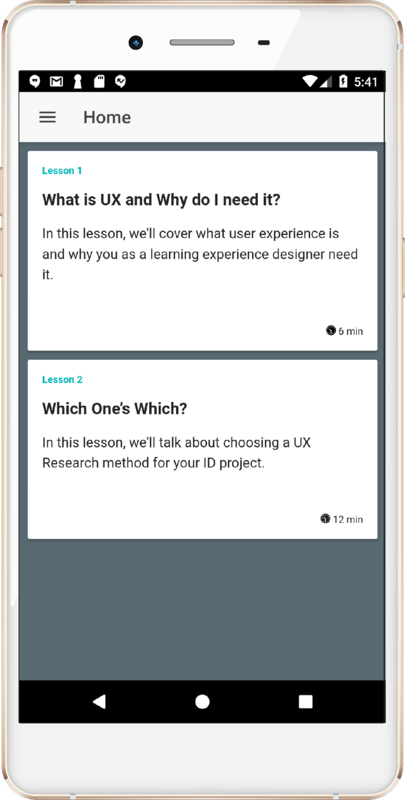 Bite-Sized, Practical Lessons in User Experience Research for Learning Experience Designers. 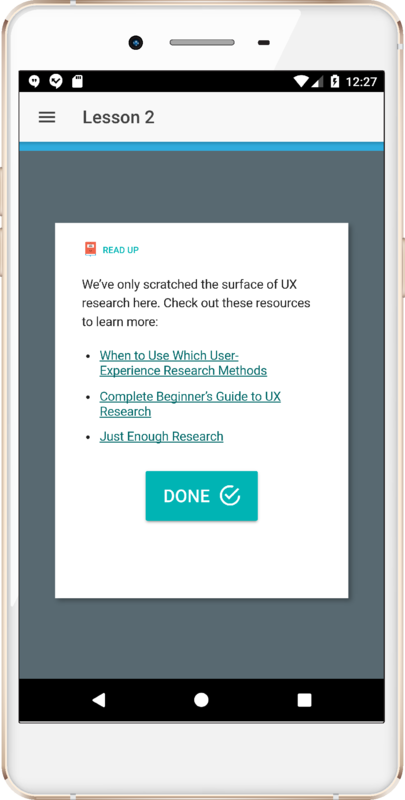 Take a mini-journey into the methods and tools of user experience research and leave with actionable tips that you can start using no matter where you are in your learning experience design process. No matter where you are in your learning experience design process. 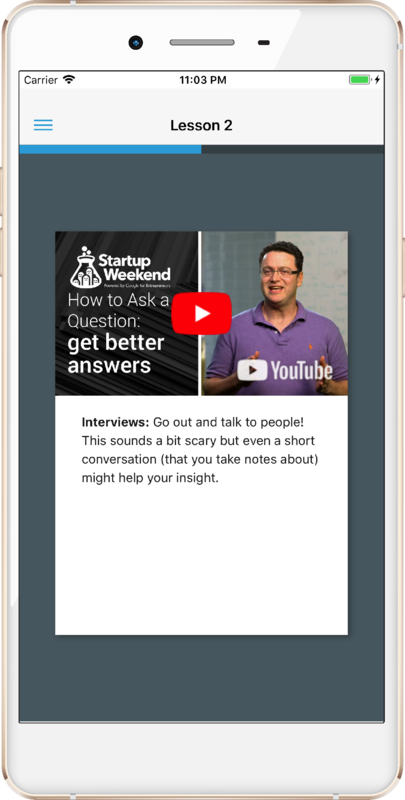 Each lesson wraps up with links to toolkits, books, articles, and other resources to help you move from newbie to UX expert. Wrap up with links to toolkits, books, articles, and other resources. Track your progress in each lesson. When you come back, pick up exactly where you left off. Track your progress. Pick up exactly where you left off.